The DMTC Welding Capability for Defence Platforms Workshop was conducted on 25 September in Rockhampton. Attendees at the DMTC workshop were particularly interested in the scale of potential opportunities to bring their significant experience and welding skills from the resources sector to bear in Defence projects. 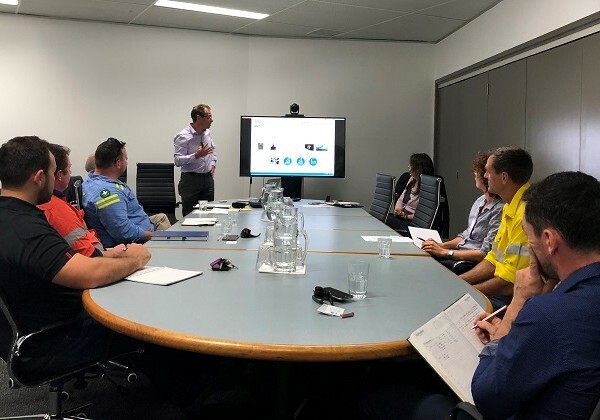 Supported by Defence Industries Queensland, this first workshop covered a number of topics including the latest technology in automated welding and welding applications in Defence platforms. Attendees at the workshop included key regional SMEs including Berg Engineering, Adnought, Monadel, Craig Harney and Moloney & Sons Engineering. The activity is one of the workshops made possible by the Queensland Government’s commitment of funding for DMTC’s Industry Capability Development Program. Our newsletters are published five or six times a year, and are a great way to stay in touch with DMTC’s news and achievements. To receive our newsletter by email, you can sign up here. DMTC acknowledges the Traditional Owners and First Australians of the land on which we now work and meet. We pay our respects to them and to their elders of yesterday, today and tomorrow.